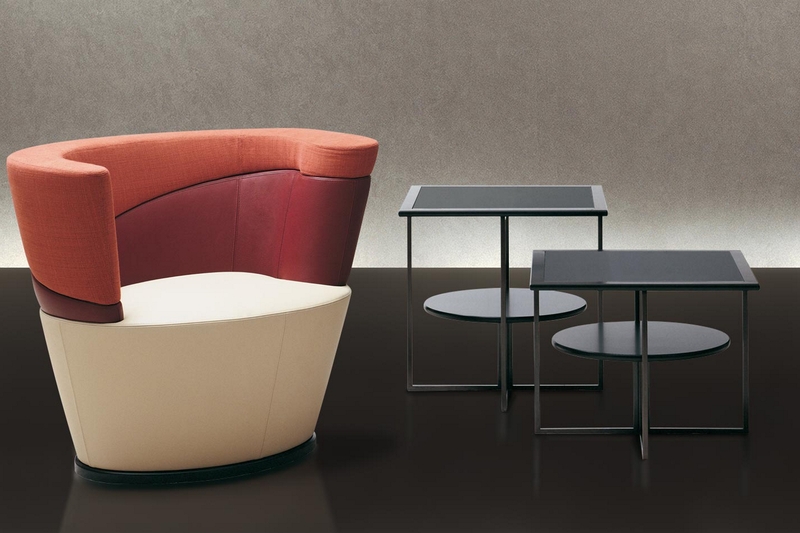 Tumbler is a series of occasional tables that are highly versatile and useful, available in different heights and shapes - round and square - with the base structure in metal and glazed bronze finish. The top is in solid and veneered polished maple wood, inserts in glacÃ© colour. The intermediate shelf is in mdf and polished maple veneer.